SHARE YOUR ASUS MOTHERBOARD STORY FOR A CHANCE TO WIN GREAT ASUS PRIZES! ASUS knows why you take pride in customising your PC to create a machine that exceeds expectations. ASUS PRIDE is about understanding that you want a PC that you can be proud of, a PC that delivers performance, reliability, efficiency and power. PRIDE in your abilities, PRIDE in your PC, PRIDE in your creation. Every ASUS motherboard has a story worth sharing. Do you have one that you are proud of? Share your ASUS PRIDE and tell us what you've done to create your dream PC. 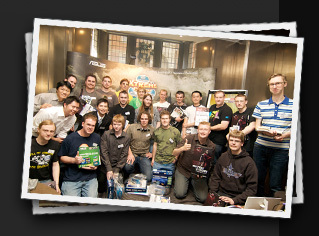 Share your excitement at discovering the joy and PRIDE of PC building. Share your journey and you may win incredible prizes! PRIDE Story – Your PRIDE, is our pride.